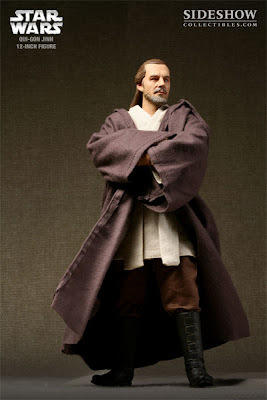 WIN a prize pack that will include a SOLD OUT Sideshow Exclusive Qui-Gon Jinn 12-inch figure, a copy of Star Wars Episode I: The Phantom Menace on DVD, and a large box of movie-theater butter flavored popcorn! 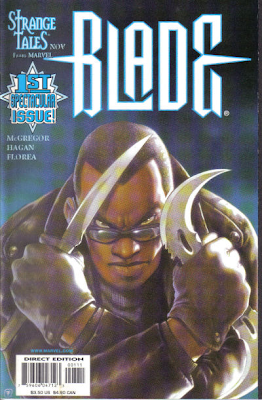 This month's contest will start at 9am PST on Friday, January 18th, 2008. All entries received before then will be disqualified! 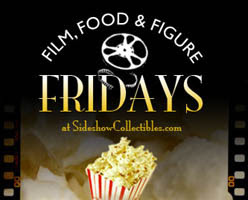 Throughout the day, Sideshow will be collecting entries via the form on their website. One random winner will be chosen from all participants at 6pm PST. The winner will be contacted via email. Good luck! "Sideshow Collectibles and Marvel Comics are proud to present the latest addition to our dynamic versus diorama series: Blade VS Dracula. 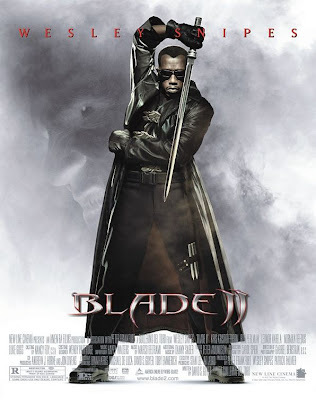 Captured in a climatic moment, Blade thrusts his sword into the ancient creature of the night, fangs bared. They are depicted in one of our most intricately detailed dioramas yet. The Blade VS Dracula polystone diorama is hand cast in high quality polystone, hand painted to exacting standards, and individually numbered. This vibrant diorama features a battery powered light-up element, that illuminates the burning flesh of Dracula's vampiric minions who have fallen at Blade's hands. From the lavish designs etched along the staircase, to the charred remnants of the disintegrating vampires this piece is easily the centerpiece of any collection." 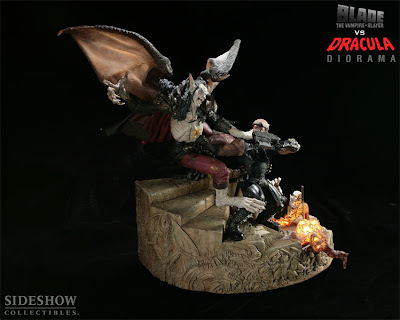 The Sideshow Exclusive edition of the Blade VS Dracula Diorama includes a bonus accessory available nowhere else: Switch-out hand for Blade holding a sword and bonus gun accessory. "Drake is the creature from which all vampires originate. He is the only true pure vampire and as such has abilities greater than other vampires, including shape shifting and the ability to walk in the daylight. 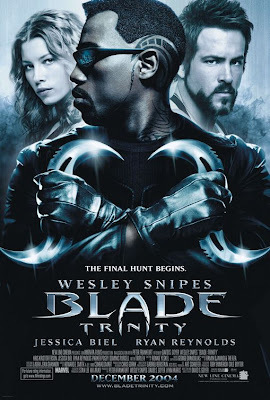 Sometime after 1,000 A.D., Drake went into hibernation, awakened by the modern day vampires of 2004 to aid them in their struggle against the Daywalker known as Blade." 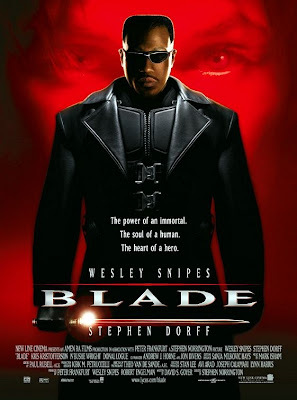 "This intricate 1/4-Scale design maquette was crafted by the artists at Spectral Motion during the pre-production process for the film, Blade:Trinity. 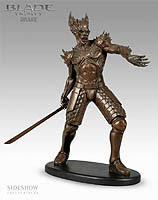 Standing 17.25-inches tall, the reawakened Drake is prepared for combat against the Daywalker, wearing a detail-rich, suit of reptilian-like armor complimented with rows of claw-shaped spikes adorning his shoulders, back and forearms. 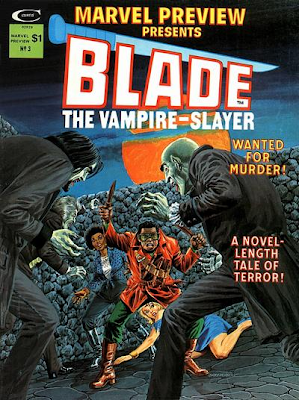 Drake wields a long sword with a handle made of human bone, and his sinister visage is well represented in the authentic portrait likeness of the sinister creature. Includes a glossy black display base with the artist's signature and edition size." This is a Sideshow Exclusive and a Limited Edition of only 200! Don't miss out on a chance to own this rare piece. 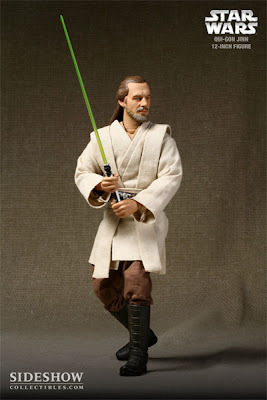 Only available from Sideshow Online. Not Sold in Retail Stores!